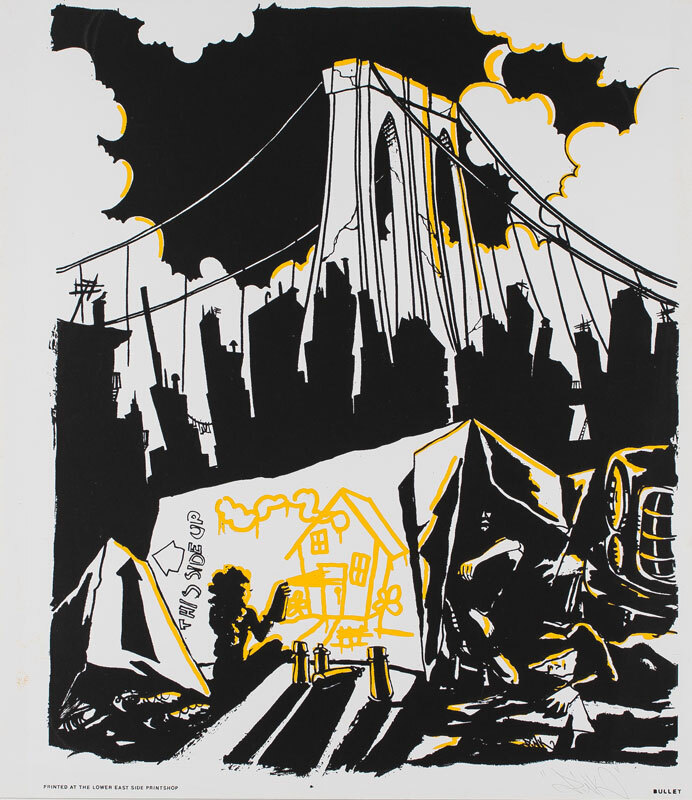 Lady Pink, “Under the Brooklyn Bridge,” 1990, silkscreen print, 20″ x 23″. 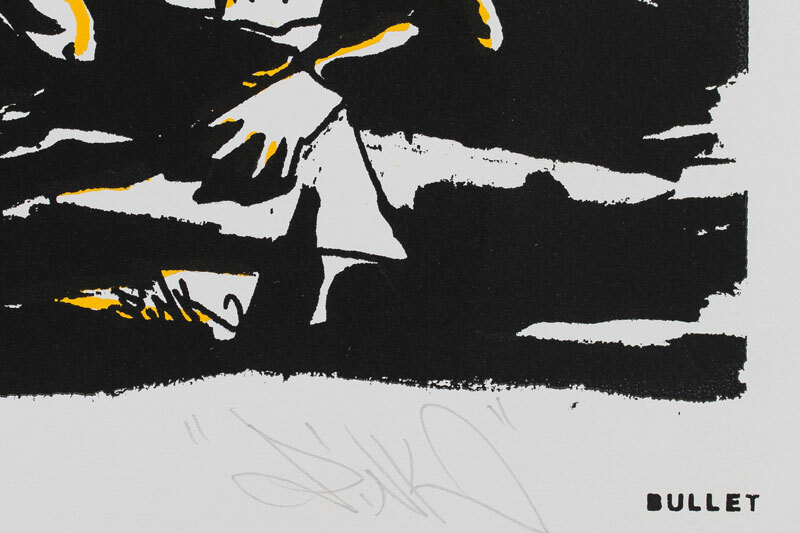 Available signed or unsigned. Sandra Fabara, a.k.a. Lady Pink, was one of the first graffiti artists to make the transition from spray-painting subway trains to selling works on canvas. Her work has entered the collections of the Whitney Museum, the Metropolitan Museum, the Brooklyn Museum, and the Groningen Museum in Holland. 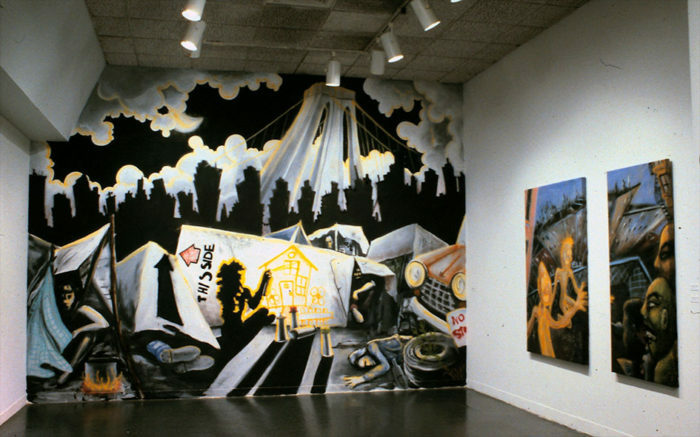 The print formed the basis for Lady Pink’s mural at the Queens Museum in 1990.